Relaxing on a beach is one of the most popular vacation ideas for many, but if you are an avid athlete you probably can't sit still too long, even on vacation. If you find yourself scheduling quick exercise sessions during family vacations, an active vacation might be more your style. You aren't alone in this. More travelers are looking for active vacations that combine fitness, travel, adventure, and typical vacation downtime. Active vacations are a great way for fitness buffs to maintain conditioning while enjoying family vacations. Organized bike tours, walking or hiking trips, and even sports training camps offer daily exercise followed by evenings of pampered relaxation and gourmet meals. For those who want to take an active vacation to the next level, a sports training camp may be just the ticket. Most people think sports camps are for kids learning to play soccer, basketball, tennis or some other little league sport. But adult training camps are becoming a popular way for recreational athletes to ramp up their sports skills and fitness levels. There are camps that cater to every sport, age, and ability, as well as women-only camps. IMG Academy is an advanced, state-of-the-art, multi-sport training and educational facility created for young athletes as well as professionals. In addition to training in golf, soccer, baseball, and basketball, IMG offers performance and mental conditioning as well. Carmichael Training Systems Camps offer expert coaching for cyclists, runners, and swimmers. AthletiCamps offer cycling training in Northern California. Mountain Workshop offers outdoor adventures of all kinds. Running Camps for All Ages is a listing provided by RunningTimes.com. Run Santa Fe's Camp Marafiki offers you a chance to train with top marathoners. 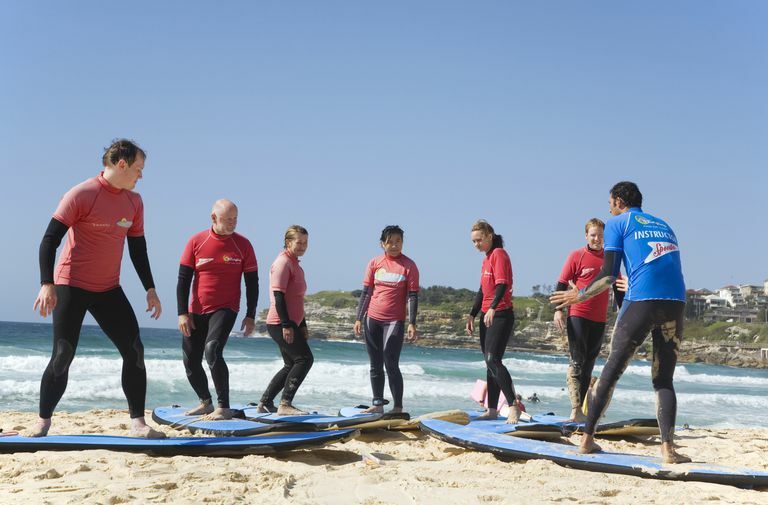 Boardfolio.com provides a massive listing of surf camps and schools. GrownUpCamps.com offers fantasy camps, recreational adventures, sports programs, and learning vacations for the adult traveler. U.S. SportsCamps has a database of over 500 camps in 15 different sports with unique instructional programs for all ability levels. Windell's Camps at Mt. Hood offers summer and winter sessions for snowboarding, skiing, skateboarding, and BMX. All ages, all abilities. The Shaw Guide is a clearinghouse of high-performance camps and programs. Simply type in your sport or activity and you can wade through a large list of camps that cater to your whim. Adventure-camp.com has a directory of summer adventure camps & programs for kids & teens. Mysummercamps.com provides a directory of hundreds of sports camps (soccer to wakeboarding) for kids and teens. Outward Bound Wilderness Courses offer over 650 adventure-based wilderness courses serving adults, teens, and youth. U.S. Sports Camps offer camps for kids and teens, as well as adults. It's database of over 500 camps feature 15 different sports with unique instructional programs for all ability levels. Adventure Treks offers two-week caving, climbing, hiking, and paddling adventures for teenagers. Do Anti-Inflammatory Drugs in Sports Do More Harm Than Good? Should You Add Metabolic Conditioning to Your Training?